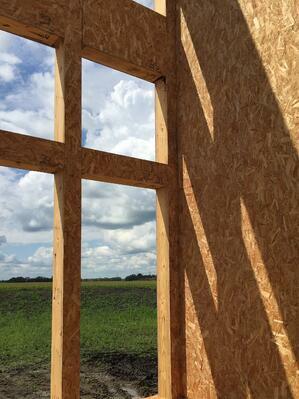 Building with Structural Insulated Panels (SIPs), while easy and efficient, comes with a bit of a learning curve. Particularly with an increased focus on green building and energy efficient homes, there’s more demand for products which provide a high-performance building envelope. That also increases the chance builders and contractors will be asked to work with SIPs. Proper planning is essential when it comes to SIPs. We manufacture Enercept panels to customers’ specifications. By carefully considering and indicating where electrical chases, backer panels, and rough openings are needed, there is less chance of miscommunication, saving time and money involved in costly modifications. Also, think about how you will handle the SIPs. Will special equipment be necessary? 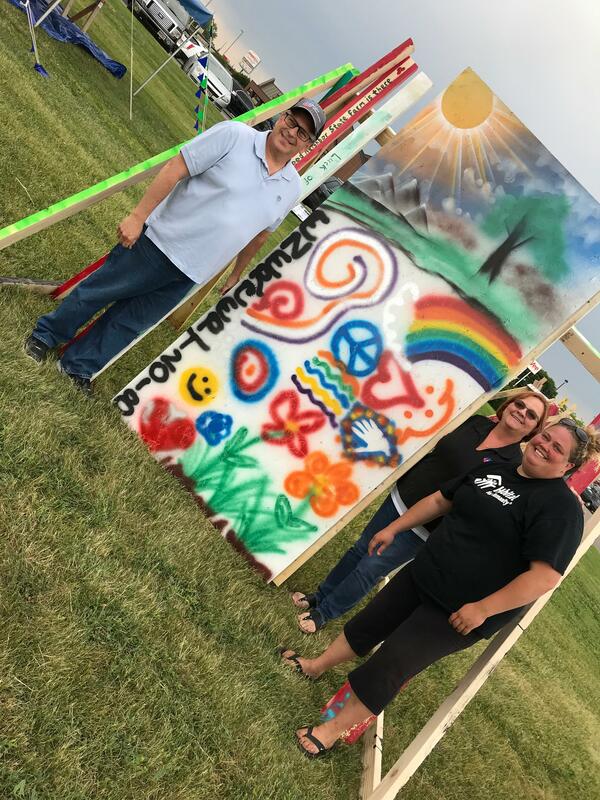 How do you plan to get the panels off the delivery truck? Be sure to plan labor and equipment accordingly. 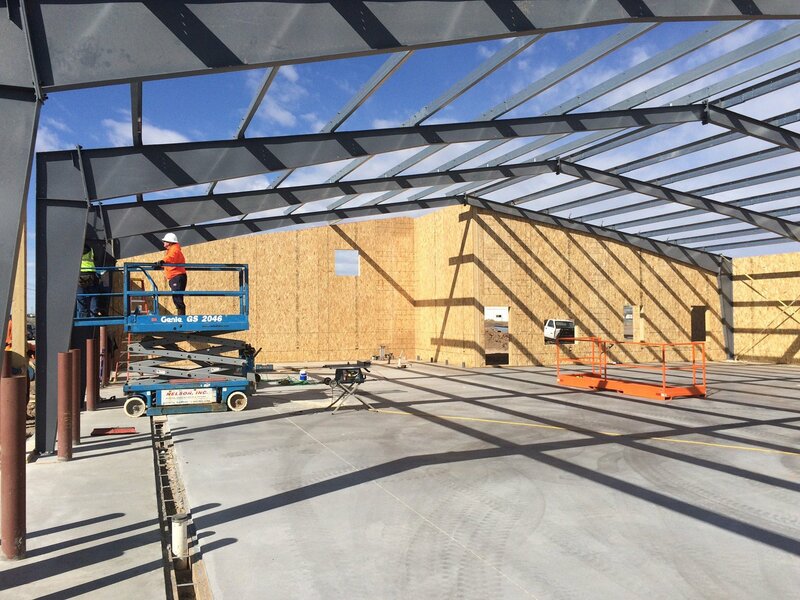 Further, if the project includes large panels, a crane, forklift or telehandler may be necessary to install them. Arranging for such equipment in advance and having it readily available when needed will help make installation flow as smoothly as possible. Be sure to protect your SIPs. Store them on a level spot at least three inches off the ground. Protecting them from the elements with a breathable tarp is also recommended. Effectively staging or organizing the panels is helpful as well. For instance, keep the main floor panels separate from the second floor and roof panels. Enercept’s panels are clearly numbered and sorting them in sequential order aids in installation. Be sure to set the panels in the proper order — start with corners and valleys, then work outward. It’s important to brace the panels adequately during installation and be sure the plate area is free of debris. Foundations must be level and square to support SIP walls. Enercept’s SIPs feature a unique connection system with slightly rounded edges for ease in installation. 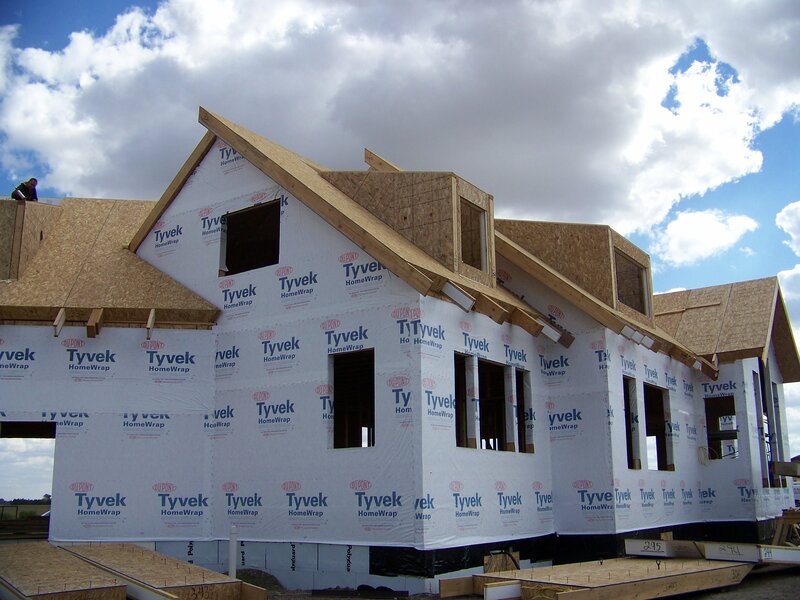 A complete Construction Guide outlines the installation process in detail; thoroughly read this before beginning to set your panels. Once installed be certain all panel joints and any voids are sealed. Proper sealing is paramount to the integrity of the high-performance building envelope, as it minimizes air leakage. It also helps maintain long-term durability of the building. 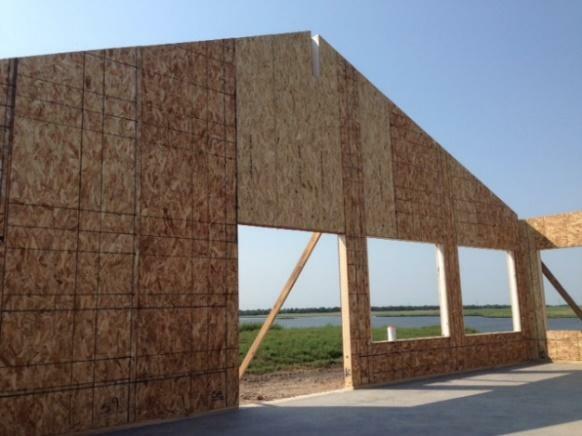 After the panels are installed and sealed, you’ll want to prevent moisture deterioration. 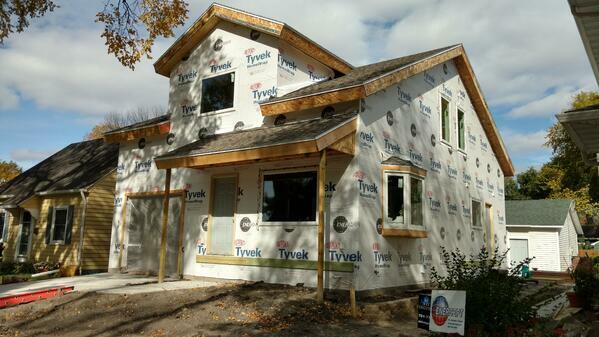 Enercept panels come with enough DuPont Tyvek House Wrap to wrap the exterior of the assembled panels. Follow the instructions included with the house wrap. Also, be sure to avoid moisture penetration around windows. Over time, they tend to leak some water prevent this by using flashing around them to direct water away from the wall structure. Five: Find and install the appropriate HVAC system. One of the main benefits of SIPs construction is high insulation and air sealing qualities, yet they are often underestimated. Both qualities (along with size and orientation of the structure, window and door specifications, duct location and fireplaces) play a key role in determining the appropriate HVAC system. The continuous insulation and tightly-sealed building envelope mean smaller HVAC equipment will effectively heat and cool the structure. Be sure your HVAC contractor takes the lower levels of air infiltration into consideration. Failure to do so could result in a system which is too large, which can become a problem. An underused HVAC system has difficulty reaching a steady operating rate which causes it to short cycle, which is less energy efficient and will likely require more maintenance. 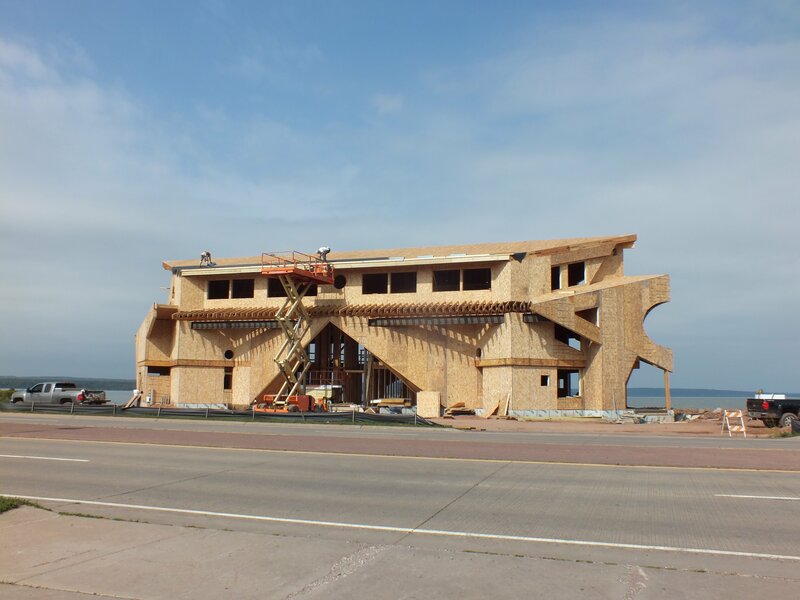 Even if it’s you or your contractor’s first experience with SIPs, it can be a great one. Simply plan and consider the details carefully.